Bains Connective is a multidisciplinary arts laboratory based in Brussels. 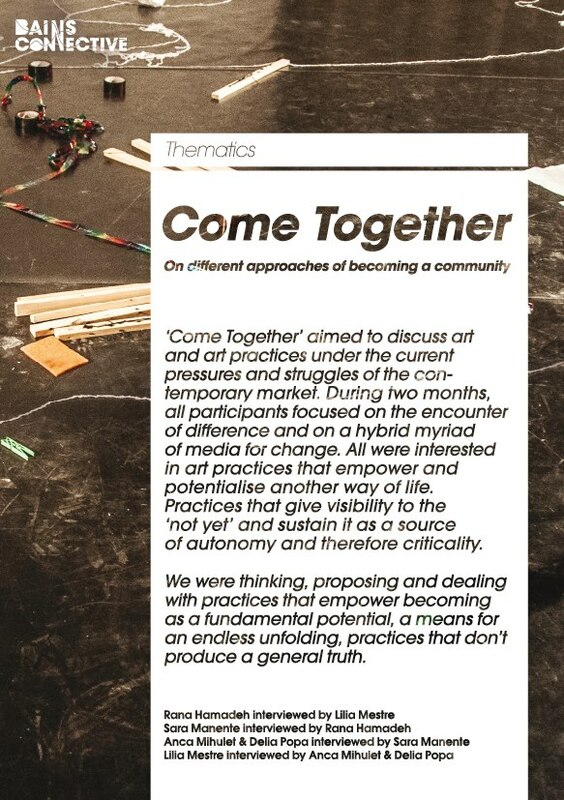 They recently published the ‘Come Together’ issue in its Thematics series, featuring a series of essays and interviews on different approaches to becoming a community. Find out more about Bains Connective and their work on their brand-new website. I took care of the proofreading for ‘Come Together’.